Nowadays, to define jazz is a Gargantuan task. It could mean such a hell of a lot. (and therefore, arguably, a lot of the time nothing at all) Nowadays, Charlie Parker and Miles Davis have become figures of mythic proportions. 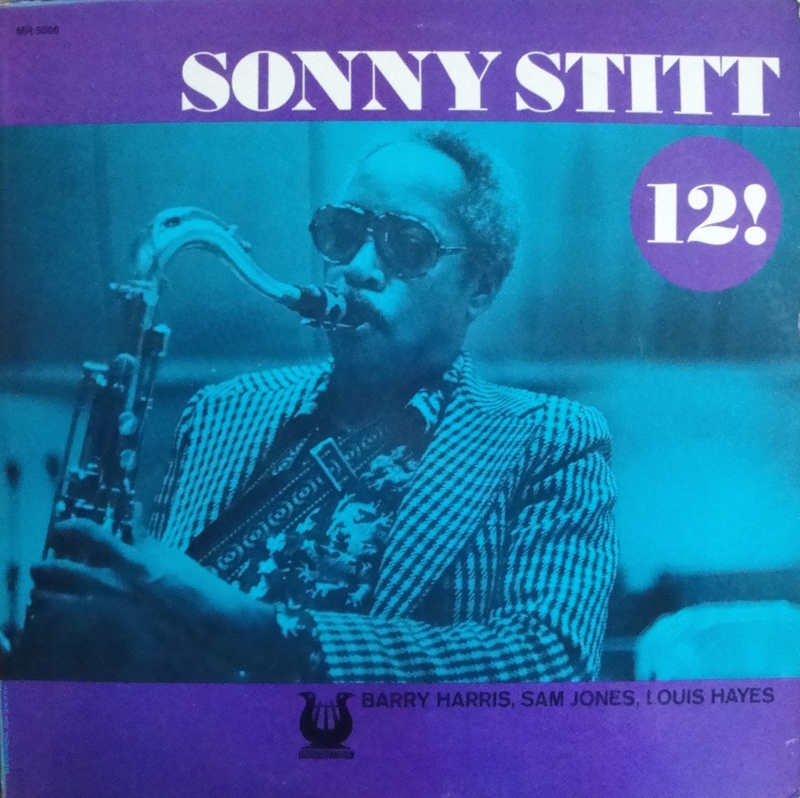 But in 1972, when Sonny Stitt’s 12! was recorded, jazz was at a low ebb after two decades wherein it had been a face with two odd sides. On the one hand, jazz – de facto still an affair of the in-crowd, had experienced a relatively meagre amount of attention in the US and Europe (certainly as compared to other, more traditional art forms) On the other hand, jazz did certainly not suffer from a shortage of clubs and record labels, and therefore a steady supply of work for musicians, however marked by hardship those conditions might’ve been. Speaking of 1972, those ‘relative’ days of wine and roses were over. And Sonny Stitt, who’d been there all the way and one of the great American jazz men who defined the era, still wasn’t a household name. Probably because he didn’t generate copy because of o.d’ing in a back alley or having hanged himself on the nearest shower rod. Instead Sonny Stitt kept on playing, prolifically, relentlessly. In fact, 12! finds Stitt – 48 years old – in true form, fresh and energetic. Stitt may have been out of sight for a while and may have made a mediocre album here and there in the sixties, yet had a great run of recordings in the early seventies, delivering the outstanding works Tune Up, Constellation and 12!. People again had to pay attention. The opener and title track immediately makes clear where Stitt’s been at. In a twelve-bar blues (hence the title) the experienced rhythm tandem of Louis Hayes and Sam Jones vigorously crank out the chord scheme and Stitt alternates between outrageously fast and cleanly executed bop runs and tasteful and shouting blues statements. He’s on alto saxophone here and is heard quoting See See Rider, a gesture pianist Barry Harris picks up on in his turn, playfully making a reference to the same classic blues song at the start of his well-balanced solo. I Got It Bad, virtually synonymous to Johnny Hodges, is a fine ballad. The rest of 12! consists of another dose of blues and bebop. A highlight is I Never Knew; it starts with a jumpy vamp and thereafter, up-tempo and in 4/4 time, Stitt wraps up the story he’s been telling ever since battling with Gene Ammons in the forties. Barry Harris solidly flies through the changes. Harris’ declaration of independence has long since been sealed, yet, at the same time, on this tune and album, Harris throws in more than a bit of Bud Powell. That should be enough to satisfy the customer, but there’s more where that came from. In the ultra-fast Every Tub, a piece that suggests that in bop there was injected more than a dose of jump ‘n’ jive, Stitt is stimulated to the core by the red hot rhythm section and launches into a high-voltage solo that remains interesting because of Stitt’s unlimited imagination. Stitt pulls out all the stops, ending a three minute immaculate bop course on a wailing note. He’s mean. This is the Sonny Stitt young lions were hesitant to stand shoulder to shoulder with on stage, the Sonny Stitt that on those occasions seemed to deliver the delirious, yet despite its madness utterly coherent message: Here comes Sonny! On 12! Stitt is assisted by an almost equally experienced set of cats. Sam Jones played with about all of them; and one of his solo albums on Riverside being named Down Home gives you an idea of the bassist’s intentions. Jones and drummer Louis Hayes have been one of the most prominent and exciting rhythm sections in Cannonball Adderley’s Quintet from 1959 to 1964. (Jones played on more recordings of the quintet, notably on the classic Something Else) Barry Harris was a sought-after pianist and is well-known for contributing his soulful, robust style to Lee Morgan’s famous hit record The Sidewinder. Sonny Stitt’s style pretty much stayed the same over the years, he wasn’t the ‘searching’-type. Stitt is what he is, an authority, an institution. In the fifties and sixties many set Stitt aside as a mere copyist and disciple of Charlie Parker, which was ridiculous. Of course, undeniably, more than in others, in Stitt one could easily hear Parker, sometimes as much as one could hear Parker in Parker. That is, on a superficial level. Stitt learned from that bunch of brilliant innovators that created the new music labeled ‘bebop’, which permeated jazz for years to come, and he played his part in it as well – influencing the likes of John Coltrane along the way. What Stitt was doing in the sixties and seventies was keeping the flame of bebop alive and in the process attributing to the sense that it still was alive, not only in Stitt, but also in the minds and works of the younger generation. This is what Stitt was doing, year after year, mostly in classic quartet or quintet settings but other settings as well, authoritatively, occasionally a bit half-heartedly, but more often than not by blowing everybody’s brains out. In the manner that is immortalized, for instance, in the grooves of 12!. You may or may not know all this or you may or may not have heard something along these lines before. It wouldn’t be surprising, since a batch of renowned critics such as Dan Morgenstern have been more than eager to praise or defend Stitt. 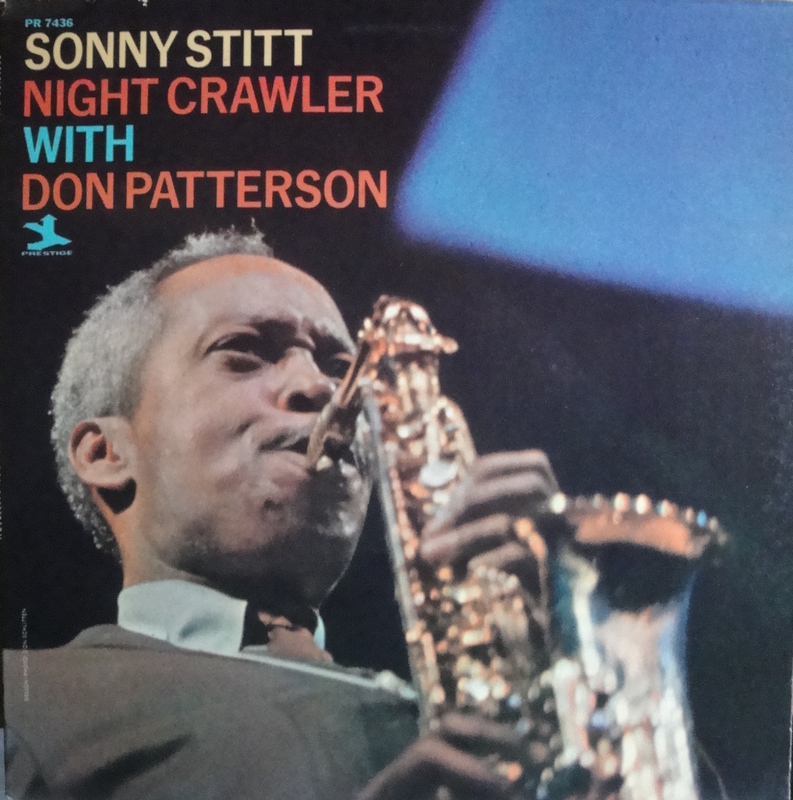 I take it for granted because Sonny Stitt deserves it that the tale of his frequently unrecognised importance to the jazz heritage keeps being told; that the records are being kept straight. The discography of Sonny Stitt is so vast, it’s bound to include some average affairs. Night Crawler is one of them. It, like much of Stitt’s organ combo work from the sixties, doesn’t possess the brilliance of his bop playing in the fifties or career-defining early seventies work, but sets a good groove. Stitt’s playing, however, isn’t very spirited. For a big part, Night Crawler relies on the classic AABA-song structure. Stitt also returns to the well-worn warhorse All God’s Children Got Rhythm. Although not really on fire, Stitt’s beautiful execution nevertheless is a thing to be treasured. Stitt’s delivery on alto is ultra-clean and bop’s signature techniques such as double timing and the trading of fast fours are played in a seemingly effortless manner. Night Crawler being the one funky blues, it’s not surprisingly chosen as album title. 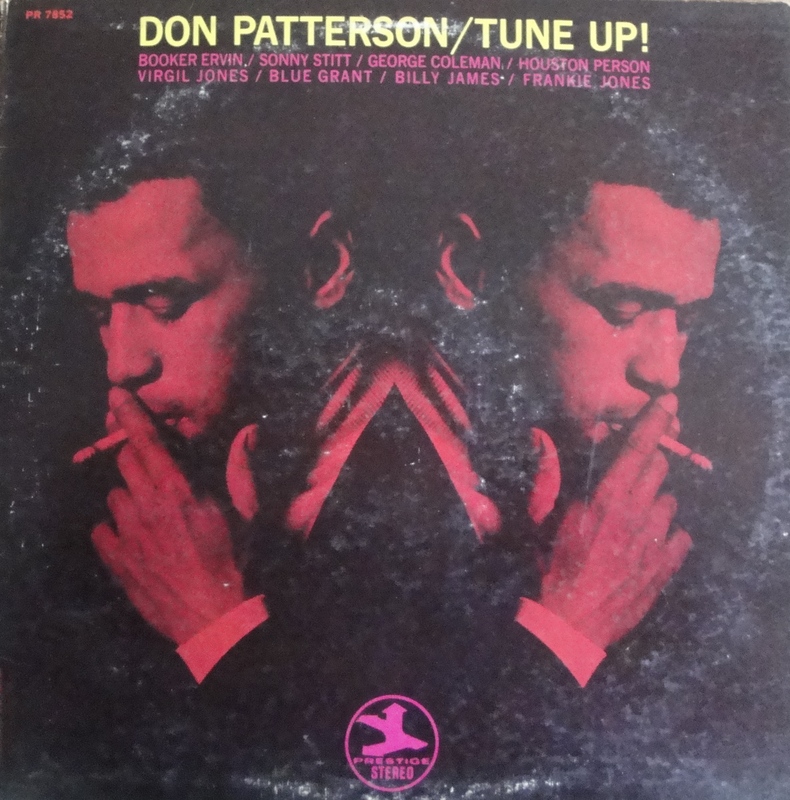 It’s just one of six tracks on which organist Don Patterson displays a wonderful sense of restraint. Night Crawler is part of a series of albums in which this trio cooperates. (e.g. Low Flame, Soul People and Don Patterson’s Funk You) They also were a working band. It explains their smooth interplay.